All software from the table below should be installed on the server where Ranet Pivot Table for HTML5 will be running. Use Windows Explorer to create an empty folder on the disc where the source of the IIS web app will be stored. Extract the archive into the folder created during the previous step. Alias Enter the name that will be used to access the contents of the web app in the browser. Application Pool Choose the ASP.NET v4.0 Classic application pool in which the application will be running (if you created an own pool, choose it). Physical path The physical path to the application source. In the demo example, it is the path to the folder with the extracted archive. Run the web application by choosing the next options in the local menu: Manage Application -> Browse. The application starting page is index.html. After the web app has launched, specify the connection string to the OLAP MS SSAS data source. By default, the demo DB Adventure Works DW 2008R2 on the localhost server is used (the original base is stored in https://msftdbprodsamples.codeplex.com/). This guide does not provide the detailed info on Windows, IIS, and SQL Server settings. If any issues appear, refer to the original documentation on those components. The opportunity to use different services (Drill Down/Up, Expand/Collapse, etc.) 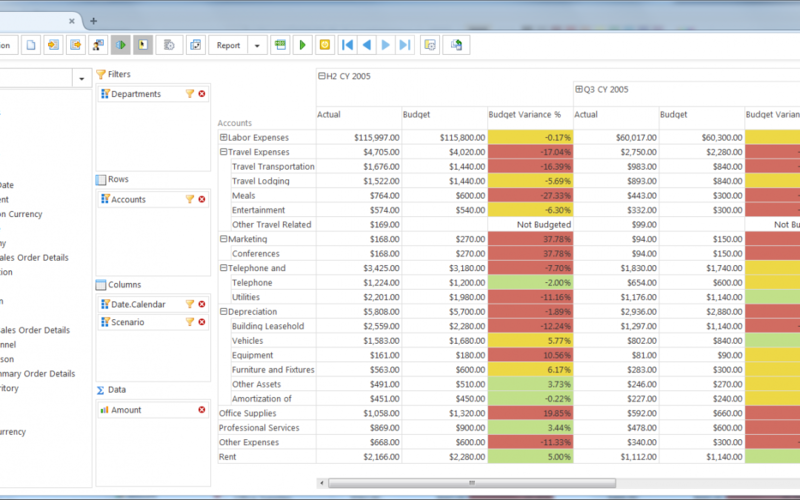 for data analysis in pivot tables. The file storage for report parameters and special services to manage them. The demo application has the complete functionality to create interactive analytical reports based on multidimensional OLAP data. This solution can be utilized for your data analysis purposes as an independent ready-to-use product. 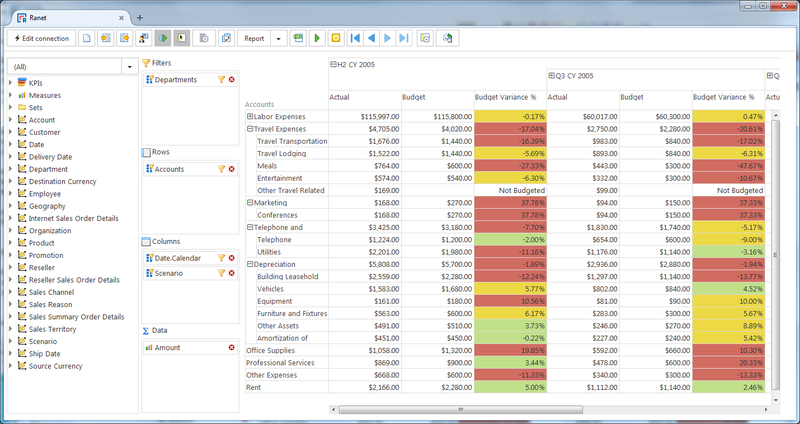 You can also easily integrate it into any web app as an Ad hoc Reports module for OLAP.